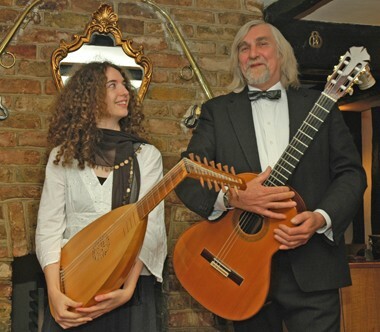 John Cadman tours giving classical guitar and lute recitals in concert halls, churches and stately homes. He also performs programmes (of up to three hours) of atmospheric music for banquets, conferences, wedding receptions and similar special occasions. 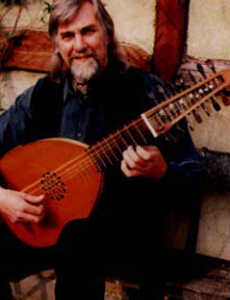 John’s programmes generally commence with Elizabethan lute music, including compositions by Dowland, followed by works from the Renaissance and Baroque periods by composers such as Frescobaldi and Bach, performed on the guitar. 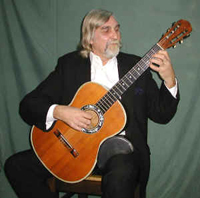 Guitar music from the classical and Romantic periods by composers such as Sor, Giuliani, Paganini, Tárrega and Albéniz usually precede more contemporary Spanish and South American music by, for example, Moreno-Torroba, Ponce, de-Falla and Villa-Lobos. John himself is a prolific composer and arranger. His often fiery and passionate compositional style may be attributed to his part Russian and Spanish ancestry. John generally concludes his programmes with original compositions and arrangements which sometimes explore technical and musical devices more usually associated with jazz, blues, rock and flamenco music. John can also play as a duet with another guitarist.